If a way to man’s heart is through his stomach, then perhaps the best way to understand the essence of a city is through its bowels. Or maybe it’s just an interesting way to spend € 4.50. 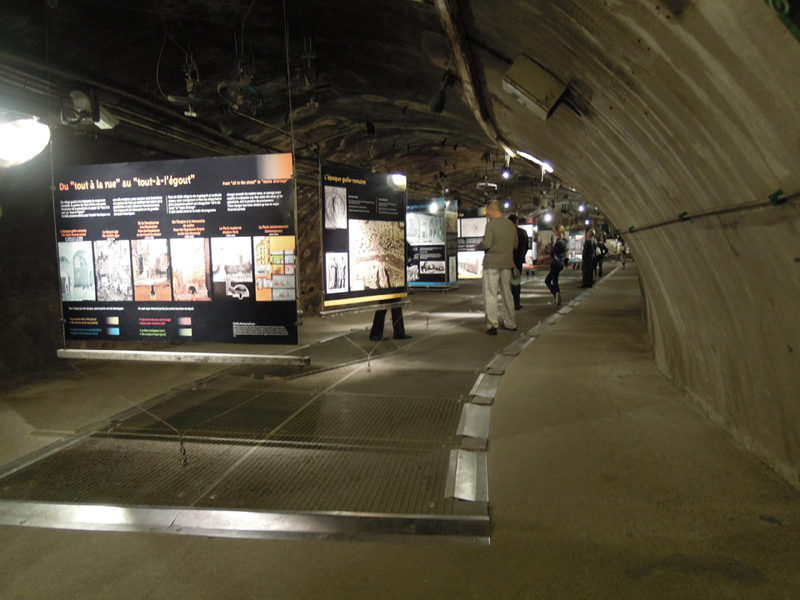 Either way, The Paris Sewer Museum (Musée Égouts de Paris) is just a baguette’s toss from the Eiffel Tower and, surprisingly, has a much shorter line. 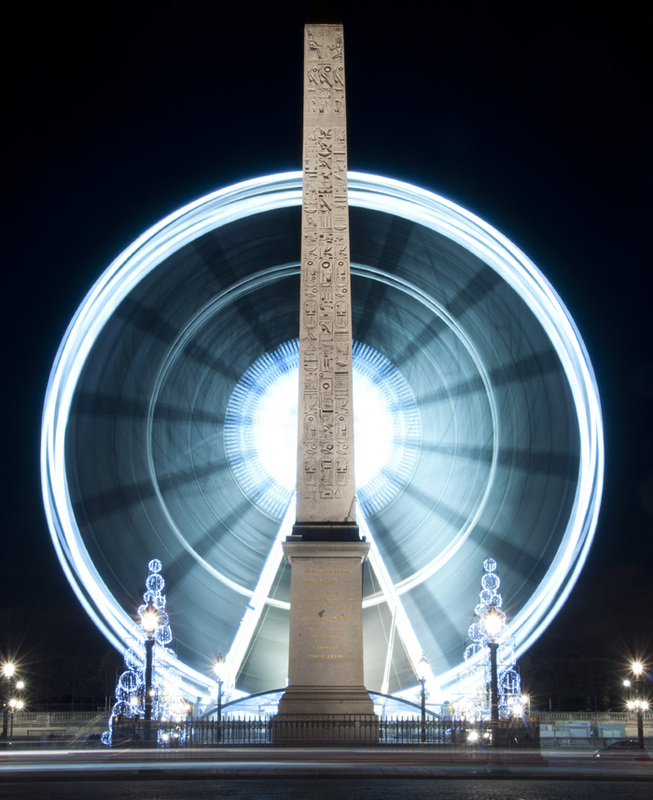 When I first learned of this attraction, I vowed to visit it before I set foot on the iron steps of the Eiffel Tower; a promise that I have kept, twice (I forgot my camera on my first visit). If you have a strong stomach—the most interesting educational signage can only be read by standing on a grate over a slow river of pungent wastewater—and an interest in how engineering evolved with an expanding Paris, then Musée Égouts de Paris is worth a visit. Much of what you’ll learn can provide insight on the difficulty of supplying freshwater while safely disposing of wastewater, an issue that has become increasingly relevant on both a metropolitan and global scale. The sewer network evacuates 1.2 million cubic meters of wastewater a day, the equivalent of 35,000 milk trucks stretched for 250 miles. Every year, enough trash is removed from sewers to cover a football field, nine feet deep. 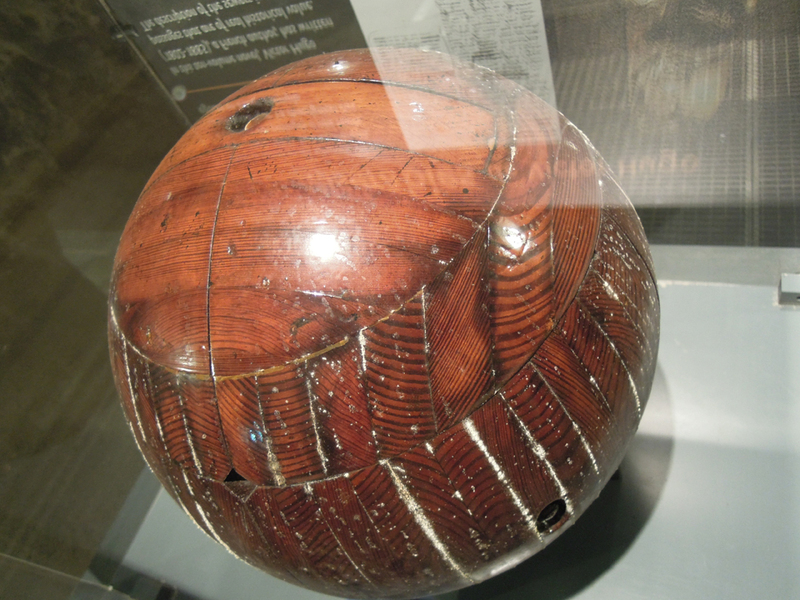 They periodically send large wooden balls—just smaller than the diameter of the pipe—through sewer lines to clean out accumulated crud and sand. Toilets account for 39% of water used in Paris, followed by dishes and laundry (22%), showering (20%), and cooking (6%). One percent is used for drinking. There are 26,000 sewer inspection covers located throughout Paris, every 50 meters. If you drop something down a storm drain, you can call 44-75-22-75 and have a cheerful civic employee climb down through the sewer to find your lost item—free of charge. Now, for a little more history. 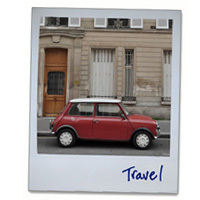 1st – 4th centuries A.D. – Paris had a populations of 6,000 people and water was drawn from the Seine or tributaries. Wastewater was dumped into the earth streets and fields where it eventually met the Seine. Romans did respect their personal hygiene and built an aqueduct to bring fresh spring water into the homes of dignitaries and public baths. 15th – 18th centuries A.D. – During the Renaissance, the population of Paris increased slightly to 250,000 by the 16th century, but the population doubled to 500,000 during the 17th. To deal with the exploding amount of waste, Francois 1 (early 16th century) made it mandatory that cesspits be built underneath all buildings. Waste was transported to nearby moats and garbage bins by sewage collectors. King Lois XIV started construction of the main sewer system in the late 17th century. Water supply was the same as during the Middle Ages: fountains, wells, and the Seine. 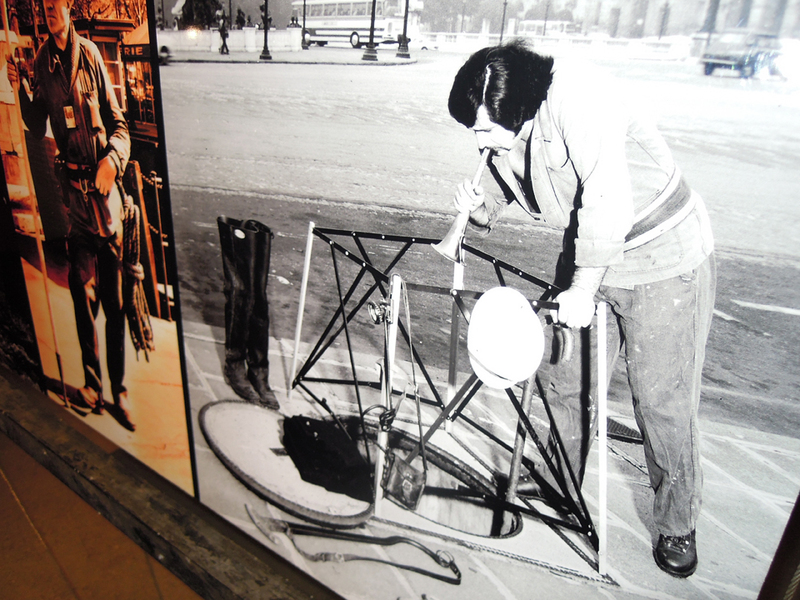 New aqueducts were built and several new pumps, powered by the flow the river, were installed on the Seine. The number of “water fetchers” grew to 20,000. 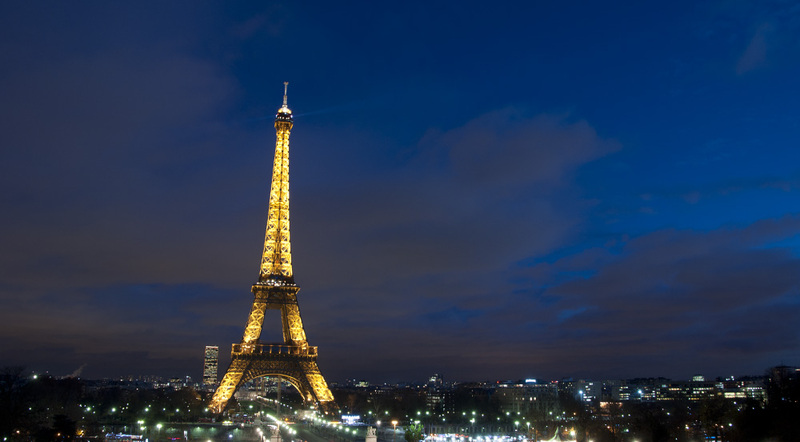 1850 – 1914 – The population of Paris hits 1 million in 1845. Baron Haussmann—civic planner under Napoleon III who sculpted the grand avenues and ubiquitous apartment blocks of “modern” Paris—appointed Eugene Belgrand to head the Water Board. Over the next 50 years, Belgrand oversaw the building of 600 km of aqueducts that brought fresh spring water from the Seine Valley. 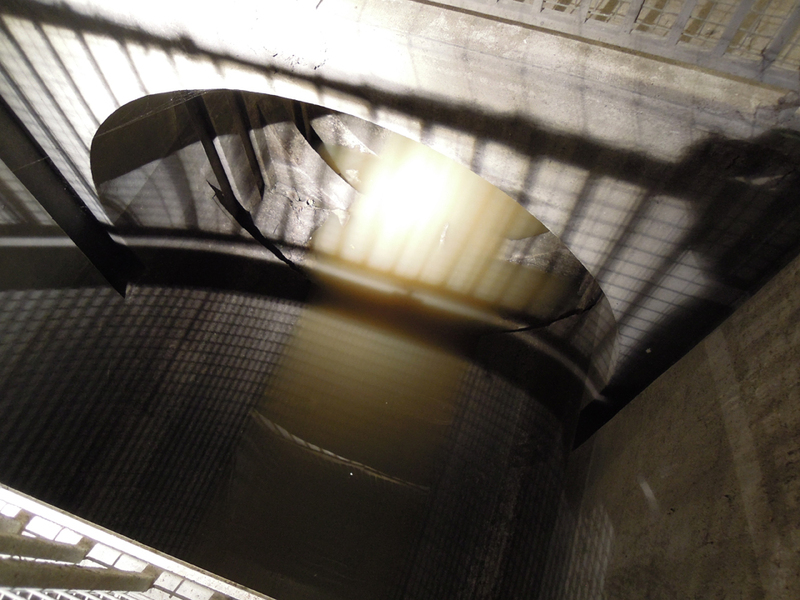 Still not able to meet demand, water from the Seine was run through large filters filled with sand. 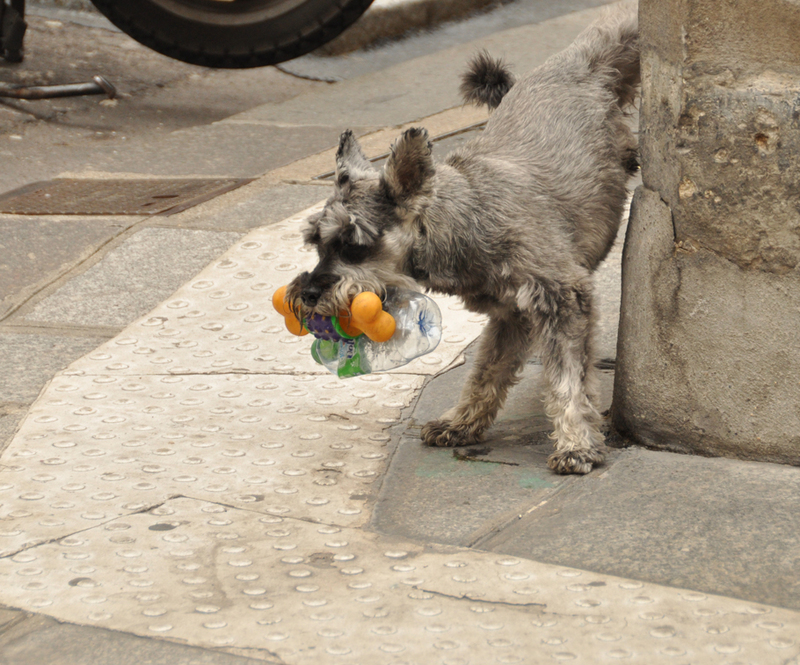 Water that Parisians used to drink was relegated to cleaning streets. The profession of “water fetchers” was eliminated with the creation of the General Water Company, which would provide water to private homes with a fee. 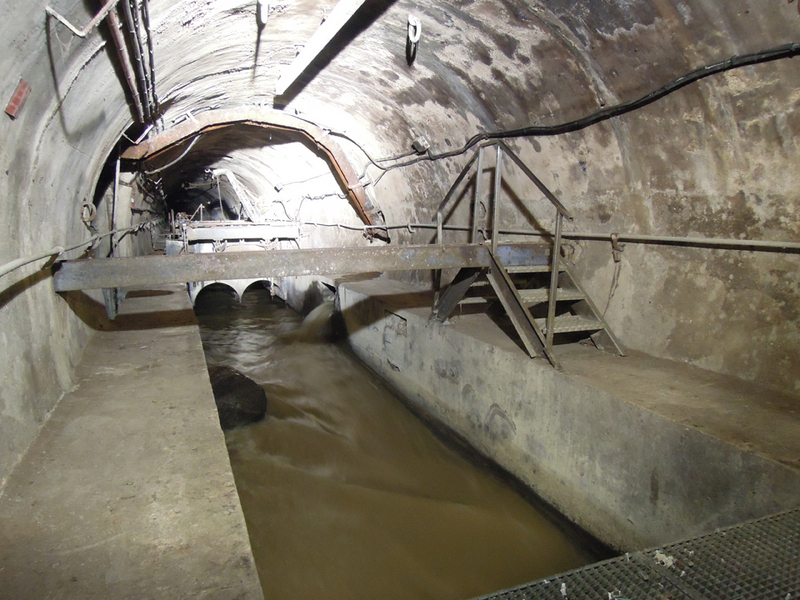 Sewers were built to collect waste directly from buildings and empty it into the Seine, downriver from Paris. As pollution built, and clouds of methane caused people to move away from the river, Paris constructed 19 square miles of fields outside the city across which the city’s raw sewage was spread to be filtered naturally. Vegetable gardens hosted at the site grew vegetables of unnatural size. 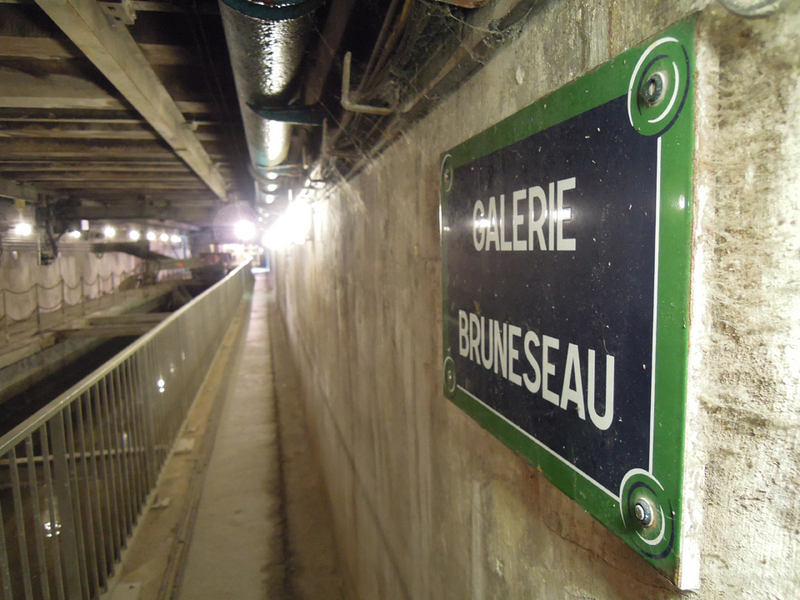 (Bruneseau, however, was the man commissioned by Napoleon to map the sewer network in the early 19th century and this section was dedicated to him—what an honor). The underground flow of urban runoff. The educational signage, located over a slowly moving river of brown wastewater. I have never been more fearful of anything falling from my pockets. One the sewer pipes viewable from the walkways. 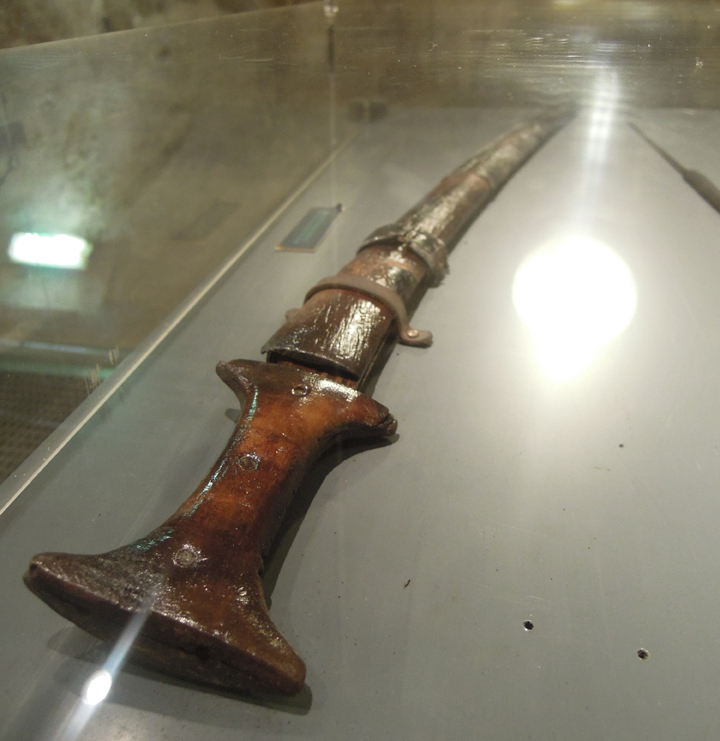 A sword recovered from construction work in the sewer. 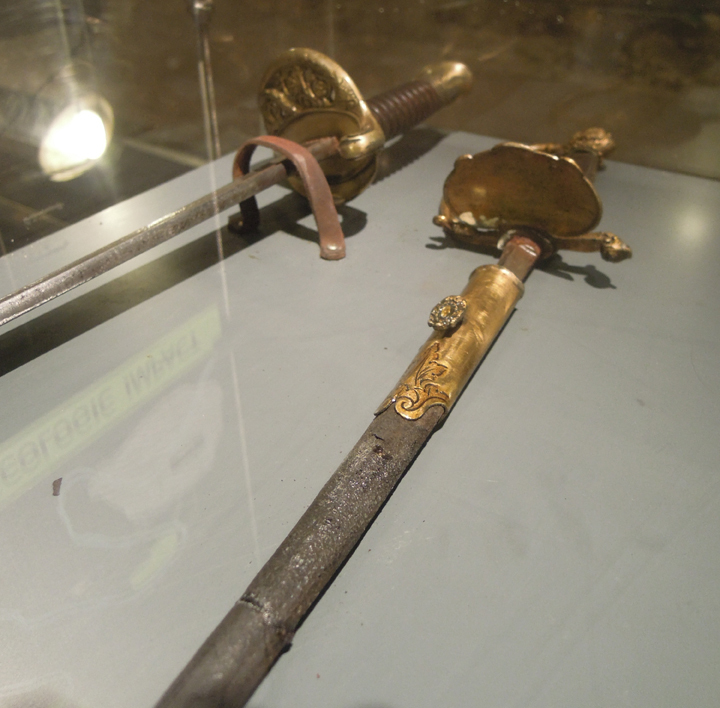 A pair of recovered swords. the ball scrapes the sides of the pipe and pushes the accumulated sand and urban detritus out the other side. 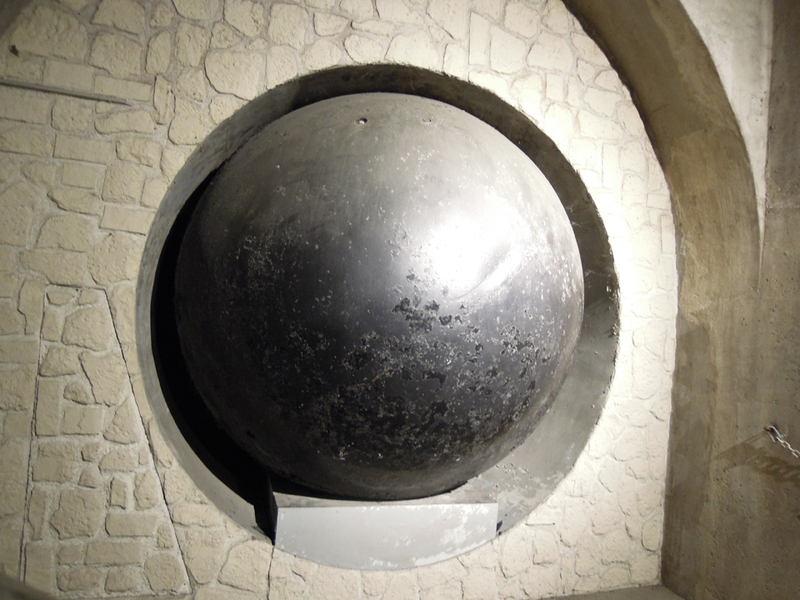 An example of a much larger ball used to clean out the main pipes, which are about 8′ in diameter. A sewer employee uses a bugle to warn his coworkers of heavy rains, which cause floods underground. Go. Enjoy the bowels of Paris at Musée Égouts. But don’t bring a picnic lunch. 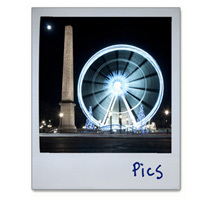 Visit the official Musée Égouts de Paris website. I think it’s funny you went back here. I still have a little bit of the egout quaff stuck in a pocket deep in my olfactory system that I can’t get rid of from the time when we toured these fetid canals. 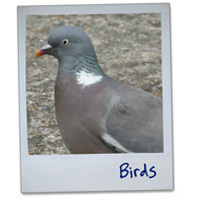 I had to go back: I forgot my camera! Plus, we had friends visit us who are in the wastewater management business back in the U.S. They found it interesting (and not smelly in the least).